Learn how to manage finances as a couple so you can maximize your hard-earned money and avoid the conflicts that hurt too many relationships. 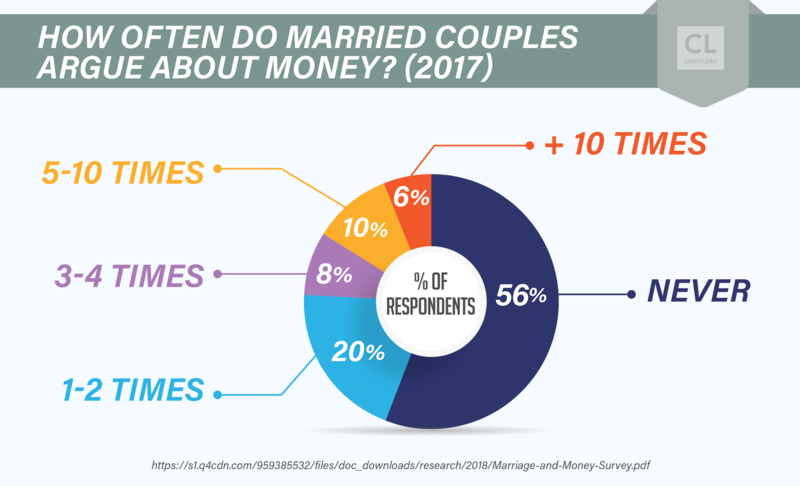 It may seem easier to avoid difficult money conversations with your partner, but skipping the “money talk" can seriously harm your relationship. For instance, it has been proven that couples who argued about money early in their relationships — regardless of their income, debt or net worth — were at a greater risk for divorce. 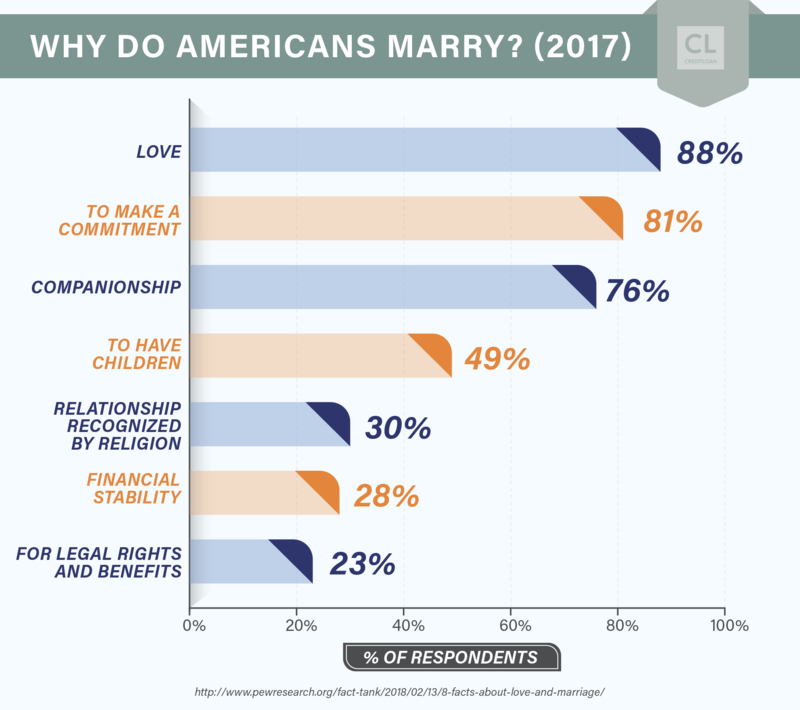 Whether you’re already married or beginning to think about sharing finances, you need to know your partner’s current financial situation, the financial goals they want to achieve, and the money values they grew up with. Here are several questions to ask one another that will foster an open, honest financial discussion. What financial baggage are we bringing into the relationship? Do you have bad debt or know of any collections against you? Have you ever had a foreclosure or bankruptcy? What's our plan for paying off debt? Who will manage the finances? Do we need or want a prenup? Will we keep separate checking accounts or establish a joint account? What about credit cards? What is the most you'd be willing to spend on shoes, a car, a vacation? Which expenditures do we need to discuss before purchasing? Have you started to save for retirement? What are our one-year, five-year, and 10-year financial goals? The way you think about money is shaped by a number of factors, including how you were raised. Maybe your parents never spoke about money when you were growing up. It has always been a taboo topic. It would be no wonder if you have a harder time talking openly about finances. Or, perhaps your partner grew up in a home where money was tight and “we can't afford it" was a common refrain. The money values you grow up with—even subconsciously—often translate into money habits, such as treating yourself to the frequent coffees or shopping sprees your family couldn't afford. How your parents spent money will play a role in how you handle money in adulthood. Recalling how your parents budgeted (or didn't) will shift your focus and help you get in touch with your own spending habits. Describe your first interactions with money. Did you set up a lemonade stand at age 6? Have a paper route as a teen? What did you do with the cash you earned? Don't gloss over troubling money memories. Dive in. Remember wearing pants from the thrift store that were too short because your parents couldn't afford to keep up with your weed-like growth? Share instances when money wasn't a happy memory. Opening up can help your partner better understand where your money values are coming from and bring you closer together as a couple. Indeed, sharing finances in the future can be strengthened by looking to the past. We're not likely to marry someone with our exact spending habits. That doesn't mean you're setting your relationship up for failure if you marry someone with a different money philosophy, though. The key is to understand and learn from one another, especially as you take steps toward combining finances as a couple. There's generally a spender and a saver. You will both learn from one another. And the frugal spouse learns the importance of splurging every once in a while. That means that if your partner is frugal and hates eating out at restaurants, you may find yourself cooking more home-cooked meals while your partner is likely to appreciate the occasional dinner out for special occasions. Bringing debt into your marriage can cause major stress. Worse, though, is when one spouse purposely hides credit card debt, student loans, or personal loans from the other. Doing so jeopardizes trust and can lead to a fallout in the relationship. Sometimes it's unintentional—you're just disorganized and can't seem to keep track of it all. Enlist your partner's help in adding all of your debt up and lay it out on the table for both of you to see. You need to know how you/your partner got here. What spending habits do you have and how can you change them to ensure that your relationship withstands the financial stress? Better to find this out now than learn that your spouse filed Chapter 11 when you try (unsuccessfully) to get a mortgage. Keeping a bankruptcy or other serious financial mistake a secret will wreak havoc when your spouse finds out—and make it difficult to regain your partner's trust. It's important to be open and honest about past financial blunders, despite how embarrassing or shameful the admission may be. Take heart that when you marry, you don't inherit your partner's credit history, according to Experian, one of the three major credit bureaus. However, a prior bankruptcy or foreclosure will stay on your spouse's credit report for a minimum of seven years. This can make it difficult to obtain joint credit to gain the necessary financing to purchase a new car or home. When you marry, you may become responsible for your spouse's debt—depending on which state you live in and what type of debt your partner has, according to Catherine New writing for Credit Karma. Only once you are aware of the combined debt you both carry, but also work together as a team to come up with a plan to pay it all off. We recommend that you focus on paying off credit cards with the highest interest first, since that will save you more money in the long run. Personal finance tends to be more emotional than it is rational, which is why experts recommend the “snowball" method where you pay off the smallest debts first. Doing so energizes you and affirms your ability to work together as a couple to improve your financial situation. This will encourage you to make the sacrifices necessary to keep plugging away at paying off the remainder of your debt. The other will focus more on ensuring proper insurance plans are in place and reviewing your investment portfolios. Dividing and conquering is a strategy that can work well as long as you are both aware of what is going on with your money and you make all big financial decisions together as a couple. First things first, it's important that you both have access to any joint accounts. By sharing financial information, you're doing more than signaling trust and commitment. You're also enabling each person in the relationship to contribute to financial management and planning. You can't help your husband's credit score improve if you don't know how they're managing it, for instance. Now that you have made the decision to set up joint accounts, you can consider sharing the load of managing them. So if you're usually the one who pays the bills, encourage your spouse to take over those responsibilities for a few months. That way, you both know what your money is spent on and the load of the task of paying those bills. Your partner's credit score is a helpful indicator of how responsible he or she is with money, which may shed light on other aspects of your partner's ability to take responsibility and make smart decisions. Also, if you plan to purchase a home or car together, a lower credit score will likely result in your being charged a higher interest rate on a car loan, mortgage or credit card. Each of you should request a free credit report from AnnualCreditReport to not only share with one another, but to also ensure that it's accurate and up to date. You'll be able to review your credit reports from each of the three credit bureaus and see whether any misinformation needs correcting. If you're coming into a marriage with significant wealth, or are divorced with children from a previous marriage, yes, you may want to consider a prenup. 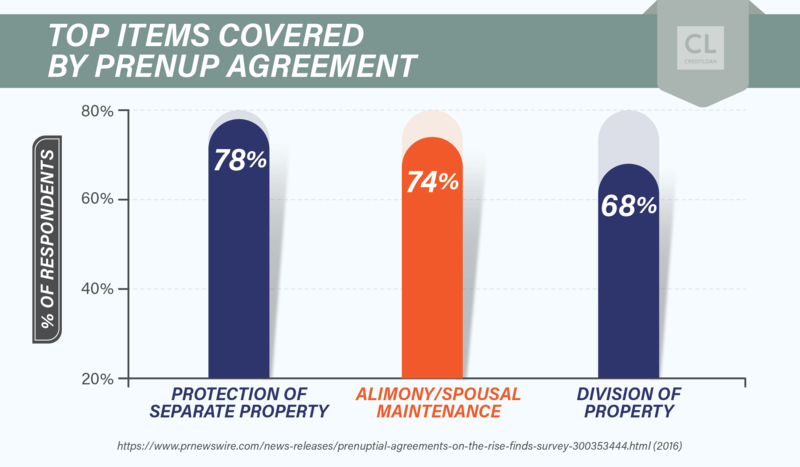 The prenup is essentially a contract outlining how assets will be divided should the marriage end. Similarly, a post-nuptial agreement can be signed after the wedding, outlining how property and assets would be divided. Both the prenup and postnup require you to disclose your financial situation, which can strengthen your relationship. Open a joint checking account to use for shared expenses, like paying the mortgage and groceries and your upcoming vacation. Keep individual checking accounts in addition to the joint account. If your salary is much lower—or higher—than your partner, you may want to contribute an equal percentage (but different dollar amount) of each of your incomes to the joint account to pay for essentials. Transfer an agreed-upon portion of your paycheck into your personal checking account for holiday gifts, clothing, or other personal splurges that fit within your budget. You already have an inkling into your partner's spending personality, but it's important to gain a true understanding of whether he or she is a saver or a spender at heart. Finding out how much he or she would spend on luxury items is a good indication of their overall approach to spending—and how reckless they may be when it comes to money. And be sure to discuss any expensive hobbies. If your partner is obsessed with the finer things in life, it's a good idea to get a handle on the spending that comes along with his or her passion. Even small obsessions—Legos, video games, makeup, or handbags—can add up. You don't want to get into arguments about limiting your partner's hobby… but you do want to make sure that he or she spends responsibly, even in areas that are very tempting. Use a budgeting app to determine how much “fun money" you each have every month to spend on these hobbies and splurges. Don't act like that's a dumb question! A large percentage of people couldn't correctly identify how much their partner earns and many were even off by $25,000 or more. It's important to know exactly how much income you will have as a household before you combine finances as a couple. Get out your most recent pay stubs and do the math. It can be difficult to suddenly need a partner's “permission" before making a purchase. After all, you don't want to feel like a child requesting your parent's permission to buy a coveted toy. Come up with a dollar amount—say $300—that if the purchase exceeds, you agree to discuss as a couple before making the purchase. You'll gain a good sense of how future-oriented your partner's thinking is by finding out their thoughts on retirement. Don't fret if your significant other is way behind you in terms of savings for the future, especially if you are younger and time is still on your side. The key is how willing he or she is to ramp up investments for the future (once you have a plan in place to tackle any outstanding debt, of course). Knowing what your respective retirement account balances look like will also inform your lifestyle in the coming years as you buckle down to ramp up your retirement savings. If you're both in the blessed position to have ample accounts, you can afford to live a little knowing that you'll be financially OK as you age. Each of you should sit down and make a list of individual short- and long-term money goals, such as paying off credit card debt, heading back to school, or saving for a down payment on a house. Do this individually, then compare the two lists. It's okay if your lists aren't exactly the same. But before combining your finances, be sure that you can create a combined list outlining short-term and long-term financial goals about which you are both in agreement. To keep finances from getting in the way of harming your relationship, you should schedule regular date nights every few months to review your budget and reaffirm your shared financial goals. This will give you the opportunity to calmly discuss your financial roadmap when you're not in the heat of the moment, upset about a late credit card payment, or seemingly unnecessary splurge on the part of your spouse. Money is one of the most common causes of arguments among partners. That's why having open and honest conversations about finances is important to strengthen your relationship and help your partnership in the long haul.